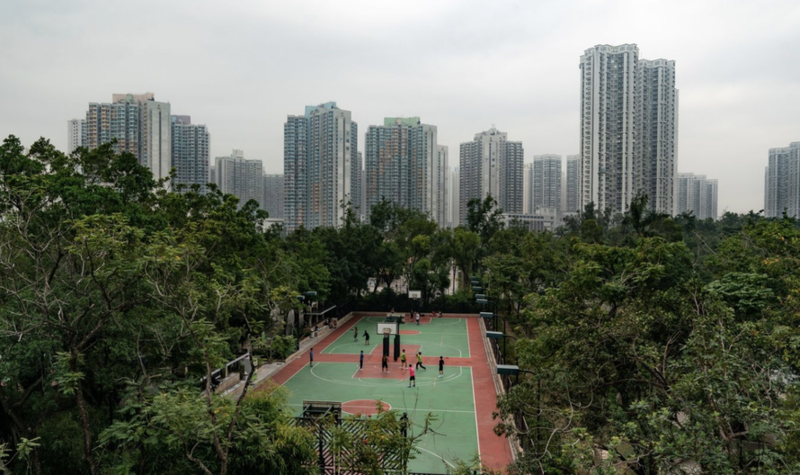 After notching its longest streak of declining prices since at least 2016, what was formerly the world's hottest housing market has officially entered correction territory, as a single interest rate hike by monetary authorities (which prompted HSBC, one of the most active banks in the region, to raise its prime lending rate) has gone a long way toward offering some badly needed relief for prospective homebuyers in the city's middle class. 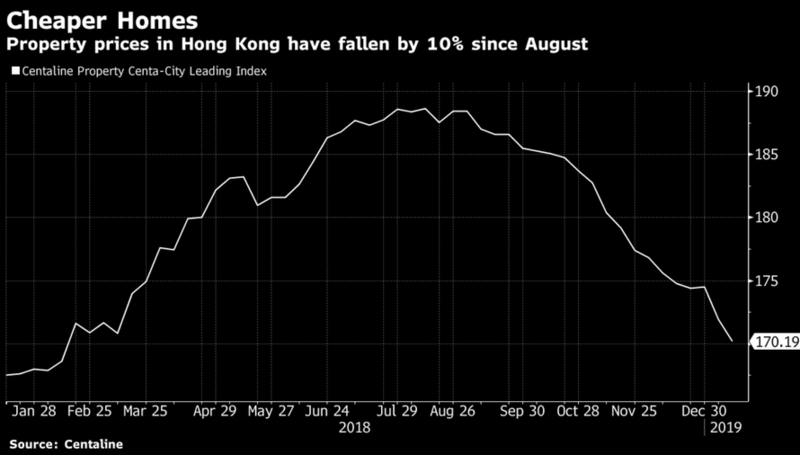 According to Bloomberg, secondary home prices in Hong Kong have shed 9.8% from their August peak to hit their lowest level since February 2018. Though one broker quoted by Bloomberg carefully insisted that, while "correction" was an appropriate word to describe what is happening in the market, calling it a "collapse" would be a bridge too far. "You can say it’s a correction with a 10 percent drop in prices, though it’s not a collapse," said Patrick Wong, a real estate analyst with Bloomberg Intelligence. Particularly because a looming vacancy tax trade-war related volatility suggest that the market still has another 5% to 10% to go until it bottoms out (then again, considering that Hong Kong is the world's most expensive housing market, a chasm between bids and asks could push it even lower, particularly as anxious government officials actively try to pull the rug out from under robust prices. Various factors have combined to put downward pressure on home values, from worsening sentiment due to volatile markets and the U.S.-China trade war, to interest-rate rises and a looming vacancy tax. Prices still probably have about 5 to 10 percent further to drop, Wong said. The dip has been welcomed by would-be home buyers trying to get on the property ladder as well as government officials concerned about affordability. The question is how long the softness will last, particularly considering demand is still strong and there are growing signs the U.S. Federal Reserve may pause its upward trajectory. For what it's worth, Citigroup has prices bottoming in the next two months as buyers swoop in to take advantage of relatively good deals; Morgan Stanley expects prices to rise 2% this year for similar reasons.